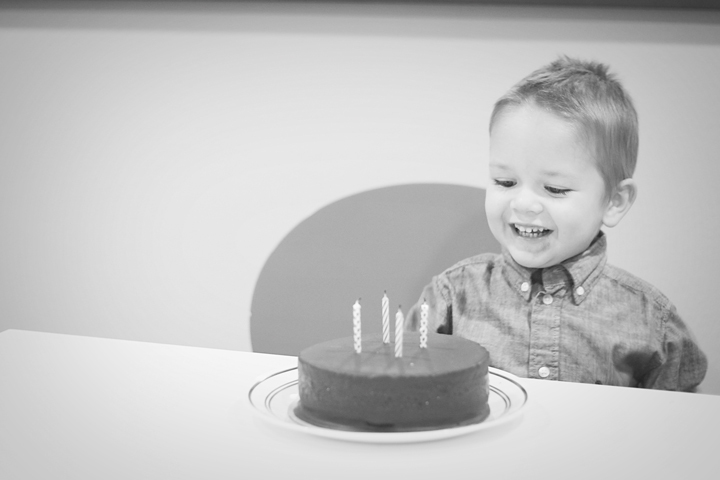 delighted to be » Jack is FOUR! Happy Birthday, Jack! (A little belated, as his birthday was November 2.) Jack is FOUR now, can you believe it? They say it goes so quickly, and in some ways they’re absolutely right. If you know Jack personally, you know he has only the best intentions. He wants to please everyone around him and his biggest concern is having fun! He is loving and kind and obedient. He always tries to make life happy for all of us, and always has the biggest smile on his face. His laughter is something that if you’ve heard it before, you can hear it in your head when you see a picture of him. Oh Jack, how I love you so. His speech is coming along really great! He was recently evaluated by his speech teacher to speak (legible to everyone else) 5-6 word sentences! This is HUGE for us — just a year ago we were still trying to get him to say words like “ball” and “car”. He said basic sentences (the same rehearsed ones) like “I yuh you, Mom.” and “I see Anson baby! 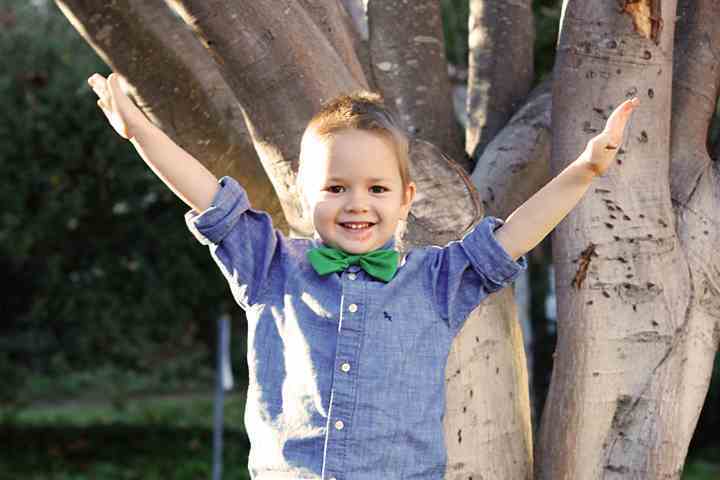 Baby happy!” And today, a year later, he’s able to say funny things like, “There was a dinosaur in my room. The shadow right there is a dinosaur! Do you see the little dots on the wall? That’s a happy dinosaur. We need to pray to make the dinosaurs go away.” We’re still working on past-tense and present-tense (he tends to say things like “I did play on the slide at preschool today!” and “I did color with Miss Connie.”) but that will come in due time. Right now it’s just really exciting to have a buddy to talk to all day! We don’t watch much TV, but his favorite shows/movies are Chuggington and Planes: Fire & Rescue. He is also really into Little Einsteins but we don’t get that channel anymore so Mommy cut him off from watching the same 6 episodes on repeat. ;) It’s funny because most kids totally zone out in front of the TV, but Jack actually learns so much from what he watches! It’s really helped his vocabulary and has expanded his view of the world around him. What a blessing it has been to have you as the oldest child in our family, Jack. You’ve been through a lot, and still have a lot left to go through. Your siblings have needed and still need so much love and support from you, and you are more than willing to give. I love that you don’t have a mean bone in your body. You want the best for everyone — recognize what a beautiful gift that is. Love you, honeyman.